APITONG SHIPLAP DECKING. NATURALLY DURABLE. DIRECT PRICING. FROM OUR WAREHOUSE TO YOU. FINISH YOUR PROJECT WITH APITONG OIL. FAST SHIPPING. IN STOCK TODAY. The Leading On-line Wholesaler of Apitong Trailer Decking, Trailer Flooring, Hardwood Truck Floors, Apitong Shiplap Decking, Laminated Truck Body Floors, and Apitong Wood Trailer Components. We specialize in Keruing, Genuine Apitong and Brazilian Apitong, Angelim Pedra. 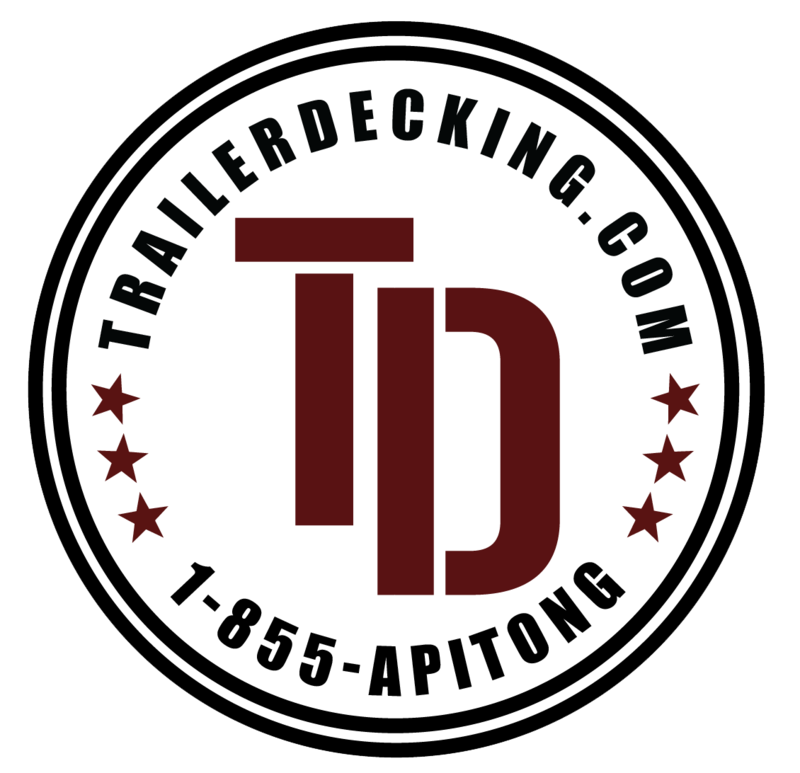 TrailerDecking.com is an on-line wholesaler of Keruing, aka Genuine Apitong, and Angelim Pedra aka Brazilian Apitong, in Hardwood Trailer Flooring, Shiplap Decking, Laminated Truck Floors, and other Wood Trailer Components. Let us know what you need. We can source just about any specified product you may want. We've done filler components for reefer trailers, nail strips, pre-drilled and shaped components, and more. 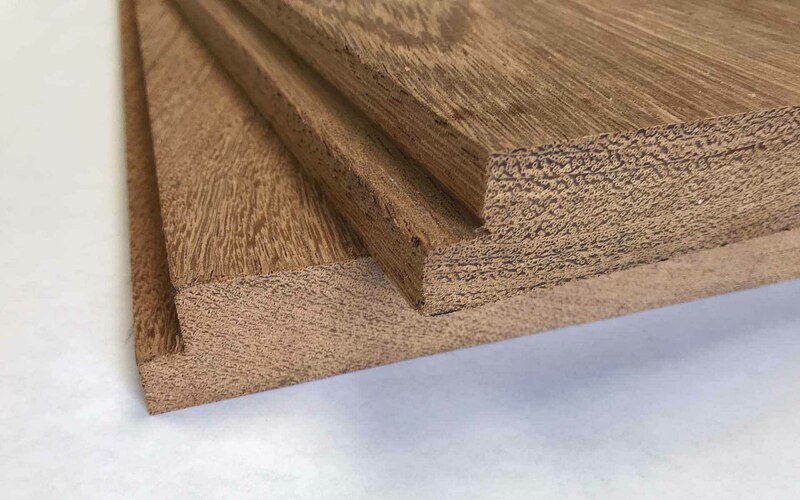 We offer shiplap trailer flooring in Genuine Apitong, also known as Keruing. This solid wood plank material is available in lengths from 8' to 24'. The most common face width is 7" and our material is run with a 3/8" shiplap, making it 7-3/8" overall. We can source other custom sizes as well and generally have access to 5" face shiplap material, nail strips and can provide custom patterns as required. 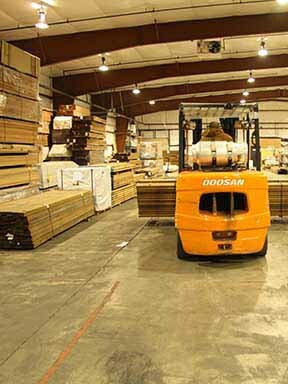 Laminated truck flooring is available in tropical hardwood from Southeast Asia, and is typically made from a mix of medium to medium high density species of wood. For use in truck body and dry van applications, an Apitong floor is laminated from strips of narrow, short material and can be either hook jointed or fingerjointed on the ends of the individual pieces. The maximum length possible of imported LTF is just under 40' since that is the longest piece that will fit in a standard ocean container. 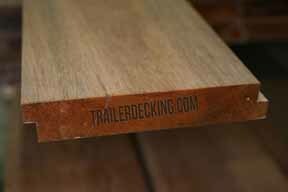 Here at TrailerDecking.com, we do not carry laminated truck flooring in lengths over 32'. We only do tropical hardwoods. 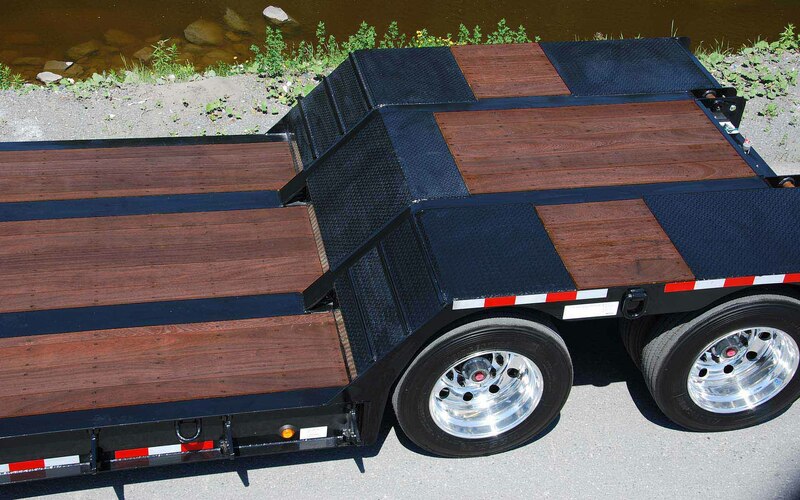 Most trailer repair centers will have access to lengths longer than 32', typically made from Red or White Oak. There are a number of high quality manufacturers in the United States. This LTF is edge glued and end glued from individual strips of hardwood. 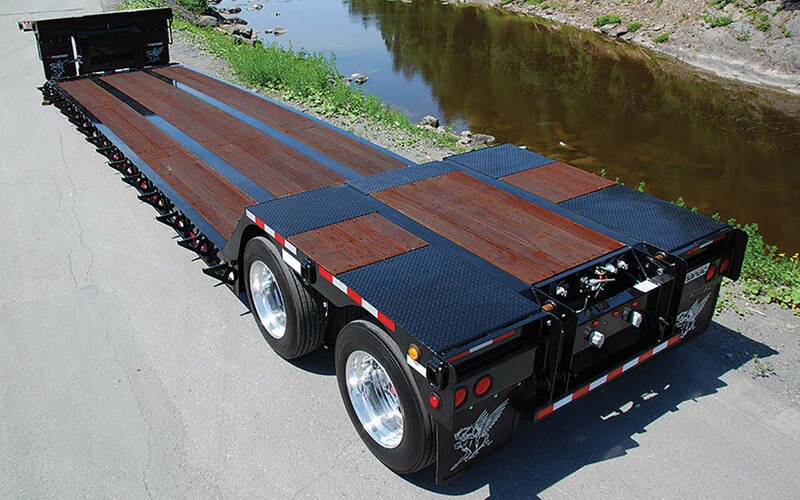 Laminated truck trailer flooring should never be used on a flatbed trailer. A laminated Apitong floor is designed exlusively for use in truck body applications and dry vans - and should never be left exposed to the weather. It is common for manufacturers to undercoat the laminated truck body floor with a wax or polyurethane coating. APITONG OIL by ExoShield is the first ever wood finish designed without any compromise whatsoever. We spared no expense in developing our secret blend of pure Tung oil, trans-oxide pigments and fungicide. 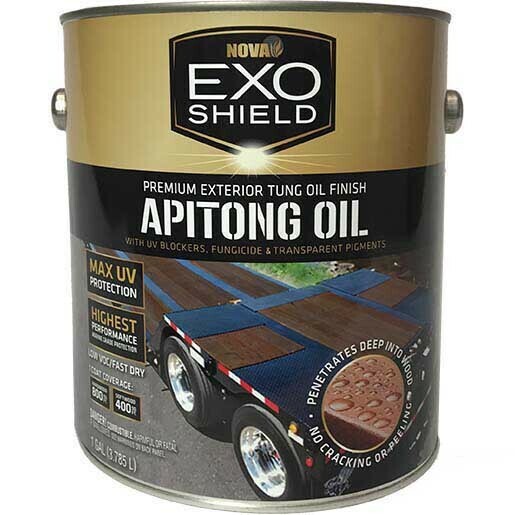 APITONG OIL by ExoShield provides more protection and more coverage than any other product on the market today - 600 to 800 SF on typical smooth hardwoods and 250 to 350 SF on rough hardwoods. Finally, a penetrating natural oil with fantastic UV color stability - the perfect finish for truck trailer floors and any other exterior wood projects that deserve the best protection and finish that money can buy. APITONG OIL is the ultimate in beauty and protection for your exterior wood projects. Why comprise? We didn't. 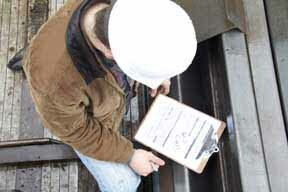 To install your new truck decking, we offer a selection of deck screws from 2" to 3". 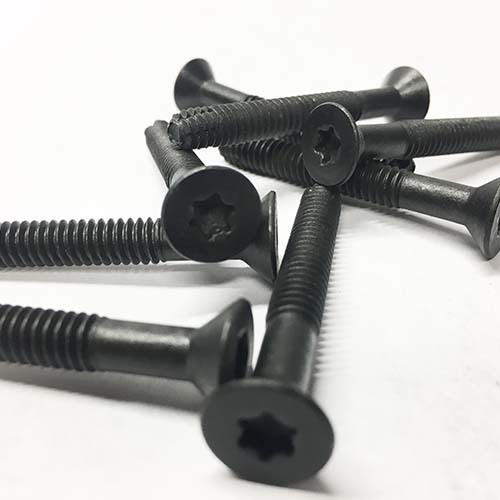 These are the best OEM quality screws available - torx head, thread cutting, pre-oiled and waxed - perfect for installing your Apitong truck flooring. Click here to buy Truck Deck Screws and Apitong Oil. We import our trailer decking directly from the source in South America and Asia. We have built strong supplier relations in our source countries and are able to take advantage of the best buys available in Brazil, Bolivia, Peru, Guyana, Paraguay, China, Indonesia and Malaysia. Because of our long history and vast array of Apitong flooring, Apitong decking and plywood products, we can take advantage of the best freight rates and pass the savings on to our customers. Our product catalog includes shiplap plank Apitong trailer decking, rough Apitong lumber for heavy duty, low boy and drop deck trailers, laminated truck flooring (LTF), S4S E4E boards, tie down slats and other specialty wood components. From our strategically located warehouses, we can deliver your order quickly - generally within 7-10 days. Our specialty is servicing customers who need material to re-deck a typical 48' flatbed with shiplap or rough Apitong. 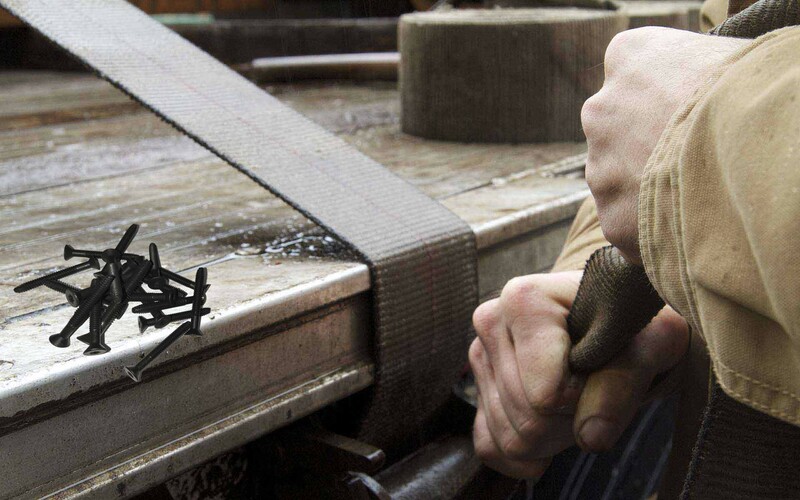 You can order on-line from our web site and specify the lengths you need for your trailer deck. Our product detail page includes detailed inventory availability on every product we sell. Be sure to check our availability of lengths when specifying what you need. For heavy duty applications, tropical hardwood lumber in such species as Purpleheart, Greenheart, Angelim Pedra, Tatajuba and Keruing / Genuine Apitong offer the best durability and life expectancy. With a Janka Side Hardness as much as two times that of White Oak, these tropical hardwoods will perform in the toughest conditions. We specialize in sourcing custom sizes including specified length timbers. Let us know what you need. Many different types of woods will perform well for industrial S4S applications. 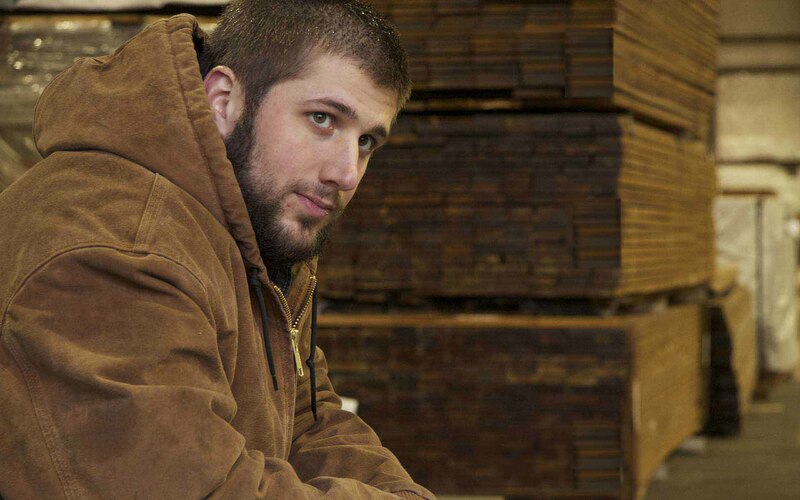 We have 1x3, 1x4 and 1x6 in many different hardwoods available for prompt shipment. These solid hardwood S4S products can be run to custom patterns as well if you need something specialized. We stock solid random length products from 4' to 20' and fingerjointed products above 20'. Note that pre-drilling is required in the higher density woods such as Ipe, Cumaru, and Massaranduba. Medium density species such as Meranti and Cambara do not require pre-drilling, which will make for much quicker installation procedure.